I am often asked which grain is the most nutritious and my reply is always the same. Asking that is like asking which fruit or vegetable is the most nutritious. They all are nutritious, all with similarities but each with unique qualities as well. Oats and barley are two such grains that have unique nutritional as well as anatomical qualities. Barley is truly an ancient grain and is believed by some to be one of the first crops cultivated by humans. The Biblical feast of Passover is related to the barley harvest and many of us may be familiar with the account of Jesus feeding the multitude with just “five barley loaves and two small fish”. Barley is unique in its composition in that while the fiber in most grains is concentrated in the bran layer, the fiber in barley (as in rye) is found throughout the kernel. Both rye and barley contain slightly more fiber than wheat. Oats have a long standing reputation of being extremely nutritious and records from more than 2000 years ago show that oats were used as a healing food. Oats are particularly high in the amino acid, glutamine which has been shown to promote healing of the gastrointestinal tract and boost immune function. Like most grains, oats provide important healthy fats known as phospholipids. About 50% of the phospholipid content in oats is lecithin, which has many health benefits, most notably perhaps for its metabolism of fats and cholesterol in the body. Oats, like barley are unique in their structural composition. Most grains have a fat content of only 1-2% and is confined to the germ, allowing for indefinite storage without rancidity. 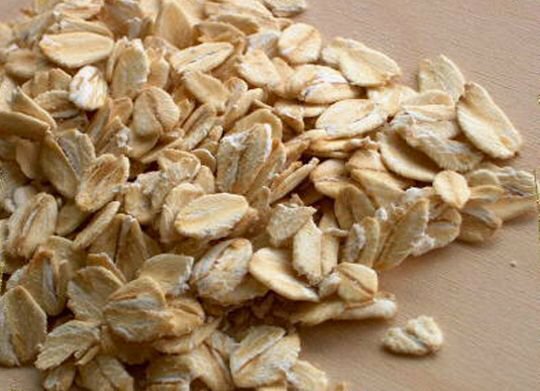 Oats, however, have a fat content of 7-8% that is distributed throughout the kernel, therefore once they are dehulled that fat in the kernel is fully exposed to oxidation. To prevent rapid spoilage, all oats for human consumption go through a steam stabilization and drying process. Without this process, the dehulled oat groats would turn rancid within about 3 days. Even with the process, oat groats as well as rolled oats are susceptible to rancidity therefore, oats unlike most grains are not suitable for long term storage. Stored in a cool place, oats have a shelf life of about 1 year. The most significant health benefit of both oats and barley may be related to their high levels of a soluble fiber known as beta-glucans. Recent research has shown that beta-glucans reduce cholesterol, help control blood sugar and improve immune system function. Beta-glucans seem to slow digestion, sustaining a feeling of fullness, which contributes to better weight management. New research even indicates that beta-glucans may be radioprotective, meaning they may help our bodies stand up better to radiation therapy and nuclear emergencies. In the meantime, to help you add more barley and oats to your whole grain repertoire here are a few ideas.